Without a doubt, one of the most popular subjects for photographers of all skill levels is landscapes. After all, beautiful landscapes abound, with easy access to breathtaking scenes, making it an easy and fun subject with which to work. With that in mind, we take our lens mastery series into the realm of landscapes. In this edition, we explore our list of the 14 best landscape lenses on the market today. We’ve grouped the lenses by type: wide-angle, standard, and telephoto. No matter what kind of camera system you have, be that Canon, Nikon, Sony, or otherwise, a top choice for many landscape photography enthusiasts is a wide-angle or ultra wide-angle lens. These lenses enable you to capture more of the scene, providing viewers with an extensive view of the landscape before you. 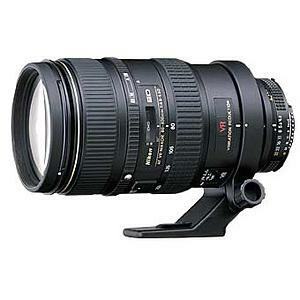 Many of these lenses are zooms, offering you added flexibility in terms of focal length as well. 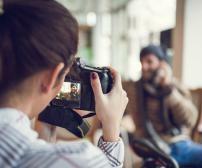 Others are primes, which tend to have greater optical quality that results in tack-sharp images. These lenses are also multifunctional in that they aren’t limited to landscape photography duties. Head into the city to take some architectural shots. Take it to a family reunion to take photos of large groups. 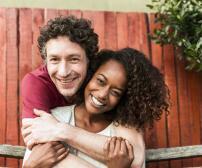 In some cases, you could even use your wide-angle lens indoors for shots of your home or your loved ones. If you have a budget that only allows for one lens, a wide-angle is an excellent choice. Canon’s L-series lenses are renowned for quality and precision. That quality usually comes at a higher cost, but that isn’t the case with the Canon 17-40mm F/4 L USM EF Mount Lens. As L-series lenses go, this one is highly affordable. This lens can focus as close as 11 inches, giving you opportunities for highlighting small vignettes within a large landscape, but with a focal range of 17-40mm, you also have the capability of capturing the larger scene from foreground to background. With a ring type USM motor, you get silent (and fast) autofocusing. 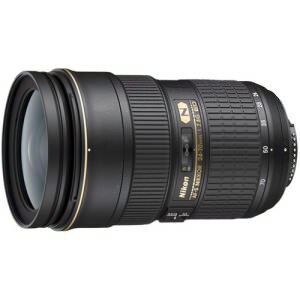 Even better, this lens is weather resistant, so you can still go out and shoot even when the weather isn’t at its best. 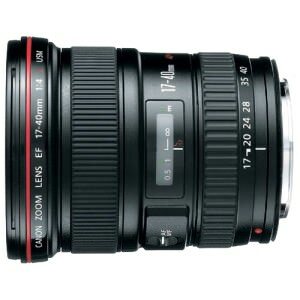 Great sharpness across the focal range and images with excellent contrast make this a top choice of many Canon shooters. 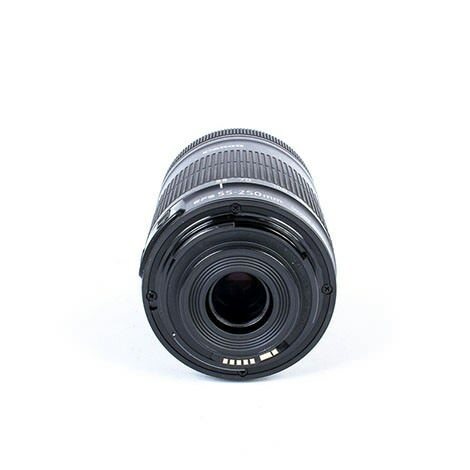 For Canon owners that want a prime wide-angle lens that offers excellent optical quality, look no further than the Sigma 14mm F/2.8 Aspherical EX HSM Lens For Canon EF Mount. Though the lens is in the ultra-wide range, it offers the flexibility of close-up shooting with a minimum focusing distance of just .18 meters. That means you can frame up shots up close with a wonderful blurry background, or take a step back and compose more traditional wide-angle shots of the larger landscape. The ultrasonic motor is quiet as well, so you’re sure that it won’t disturb any wildlife nearby. If you have a Nikon camera body, the Nikon Nikkor 28mm F/1.8 G AF-S Autofocus Lens is a solid choice for landscape photography. 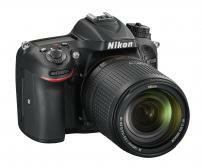 This prime lens offers superior image quality in a small package. Ghosting and flare are all but eliminated with Nikon’s Nano Crystal Coat, so your landscape images have better clarity and improved contrast. Better yet, the large f/1.8 maximum aperture means you can document landscapes from sunrise to sunset and on overcast days without worrying about whether you have enough lighting. 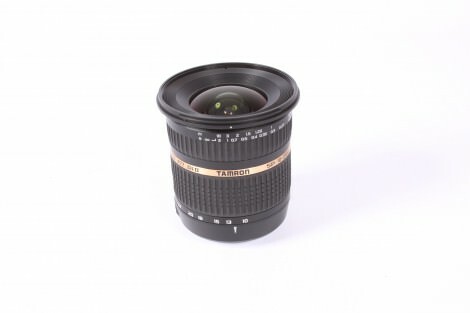 And, if you’re a video enthusiast, use this lens to create dramatic wide-angle video as well. If you’d rather have the flexibility of a zoom for your Nikon APS-C sensor camera, the Nikon Nikkor 10-24mm F/3.5-4.5 G Aspherical ED IF DX SWM AF-S Autofocus Lens is a solid choice that gives you exceptional coverage in the ultra wide-angle realm. At 10mm, this lens has a 109-degree angle of view, so you can create images that have nearly a fisheye look to them. Otherwise, the ultra wide-angle view affords you many creative opportunities to create images with dramatic perspectives. This lens is also quite compact, so you can easily carry it around as you hunt for the best landscapes to shoot. 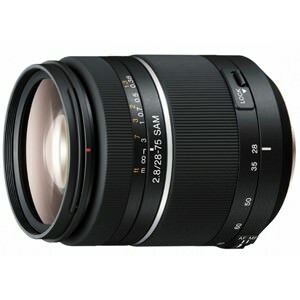 An excellent budget option for shooters with a Sony Alpha Mount camera system is the Tamron 10-24mm F/3.5-4.5 DI II SP IF Aspherical Lens. 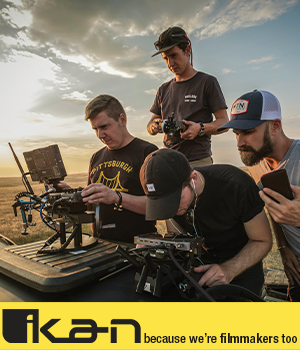 Its focal range takes you from ultra wide-angle to wide-angle, opening up plenty of framing possibilities. The lens has 12 elements in 9 groups, including a high-precision glass-molded aspherical element and three hybrid aspherical elements. Combined with two low dispersion elements and a high-refractive glass element, that means that the images you shoot will have minimal aberrations and vignetting, reduced flare, and increased sharpness. The landscape details you most want to come out in your photos will do so with this lens. 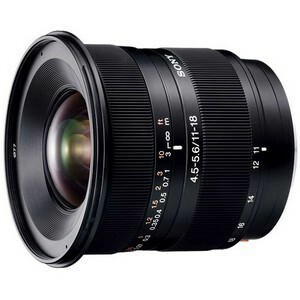 Another option for Sony users is the Sony 11-18mm F/4.5-5.6 DT Alpha Mount Autofocus Lens. This lens is considered a wide zoom, offering a focal range from super-wide-angle to wide-angle, which, like other lenses in this range, gives you a host of options in terms of composition and framing. Its construction is ideal for creating images that are crisp, sharp, and have good contrast. What’s more, the lens has lightning fast focusing, so you have greater flexibility regarding capturing any action you happen upon as you’re out photographing your favorite landscapes. A standard lens generates images that closely resemble what we see with the naked eye. As a result, landscape images taken with a standard lens have a natural look and feel. Remember, on a full frame camera, 50mm is considered standard; on a crop sensor camera, a 35mm lens would be considered standard. Usually, standard lenses are quite fast, meaning, they are ideal for low-light shooting at dusk and dawn. 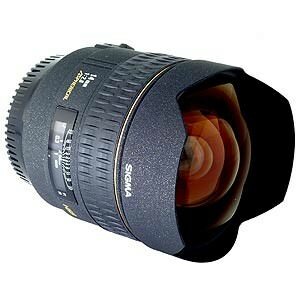 Non-zoom standard lenses can also be found for a budget-friendly price as well, making them highly attractive for beginning landscape photographers. What’s more, prime standard lenses offer excellent image quality because they have fewer optical elements, meaning you can often find an inexpensive, yet high-performing standard lens. It is also important to note that there tends to be less distortion and vignetting in standard lenses. 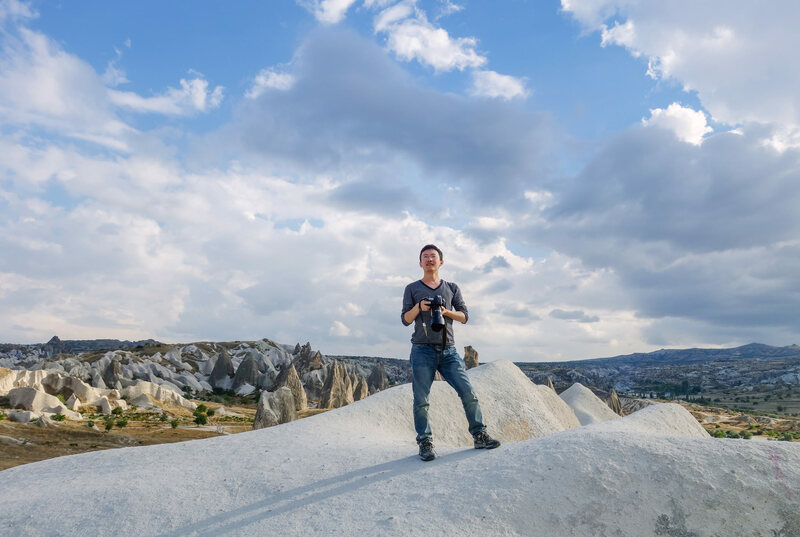 That means you can still get a nice, wide angle of view of the landscape before you, without the degraded image quality that can be a problem for other classes of lenses. Additionally, standard lenses allow you to get up close to individual elements in a landscape, then pull back and frame a shot in which the foreground and background are more compressed than what can be done with a wide-angle lens. 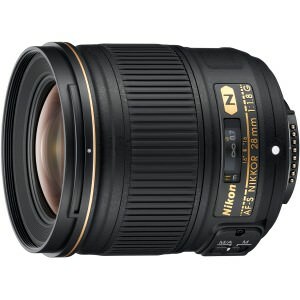 If you’re a Nikon photographer and you want to forego carrying multiple lenses, you might consider the Nikon Nikkor 24-70mm F/2.8 G ED IF AF-S Aspherical Autofocus Lens. With a focal range that touches wide-angle and extends into the standard range, it’s a versatile option for photographing many different kinds of landscapes. Get a sweeping view of a wide valley at 24mm, then zoom in and highlight a waterfall at 70mm. It can be used with an FX or DX Nikon camera, so whether you have a full frame or crop sensor camera body, this lens will perform well for your landscape adventures. 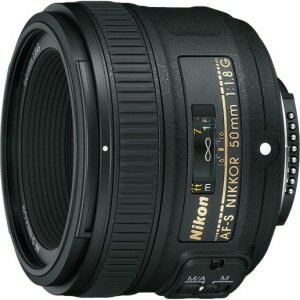 Nikon shooters that are on a budget but don’t want to sacrifice quality should look into the Nikon Nikkor 50mm F/1.8 G AF-S Autofocus Lens. The beauty of this lens is that you can get quality landscape images without breaking the bank. What’s more, it’s a versatile lens, so you can use it for other pursuits, like portraiture, making it an even more valuable lens in your camera bag. 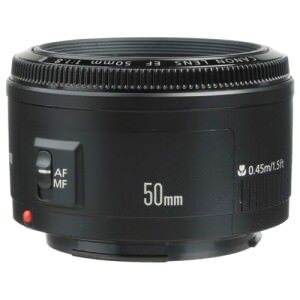 Whatever the subject, the 50mm f/1.8G offers excellent optical performance, generating images that are high in contrast. With a fast autofocus system, you can capture wildlife in your landscape images, and with a large maximum aperture of f/1.8, you can shoot in a wide variety of lighting conditions. Perhaps more than any other Canon lens on our list, the 15-85mm F/3.5-5.6 IS USM EF-S Lens offers exceptional versatility for the landscape photographer. Optimized for APS-C cameras, the lens has an equivalent focal length of 24-136mm, meaning you not only cover standard focal lengths but can shoot in the wide-angle and telephoto realms as well. Additionally, the lens has high-grade elements that limit aberrations and result in impressive image quality from wide-angle to telephoto. Another feature landscape photographers appreciate is it’s size: at just 3.5 inches long and weighing in at 1.25 pounds, it packs a lot of punch in an easy-to-carry package. The Canon EF 50mm F/1.8 II lens isn’t just a great all-around lens that’s highly affordable. It’s a fast lens, and like other f/1.8 lenses on our list, that means you can shoot in poor lighting conditions with a faster shutter speed, thus avoiding camera shake. It weighs less than 5 oz, so you can easily pack it along for a long landscape photography outing. And while some budget-friendly lenses produce so-so results, that isn’t the case with this lens. 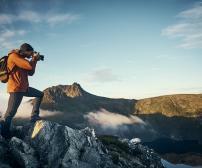 Get sharp results that highlight the landscape as you see it with your own eyes. Without a zoom, you’ll need to zoom with your feet, but when you’re out photographing nature’s beauty, a little movement could very well help you find an even better shot! Sony shooters that want an award-winning standard lens should give a good, hard look at the 28-75mm F/2.8 SAM Alpha Mount Autofocus Lens. Known for producing results that are bright, balanced, and of supreme quality, this lens will help you document your favorite landscapes with great precision and control. What’s more, you can shoot all day long and into twilight with the bright f/2.8 aperture. The 75-degree angle of view gets you images that have some compression - but not to the level of a telephoto lens - while also retaining the ability to shoot across a range of focal lengths, from wide-angle to short telephoto. Perhaps the most non-traditional choice of the bunch, telephoto lenses nonetheless provide landscape photographers with many benefits. Aside from their ability to compress landscapes and minimize distance from foreground to background, their zooming capabilities also offer you an opportunity to highlight landscape elements that would be small, if not invisible, with a shorter focal length. That means you can select individual elements in the landscape to serve as your subject - a single tree in a forest, the very top of a mountain peak, or a distant waterfall, to name a few. For Sony’s E-Mount cameras, there are few better telephoto choices than the venerable 70-200mm F/4.0 G OSS FE E Mount Lens. Though it’s a telephoto, it’s relatively small size means that this lens gives you great focal length without getting in your way. It’s weather-sealed to resist moisture and dust, so you can take photos in even the harshest of landscapes. It also comes equipped with Sony’s Optical SteadyShot image stabilization so you can shoot handheld with less worry about blur. The three double-sided aspherical elements mean you get images with less aberration, and with Nano AR coating, your images will have excellent contrast and clarity as well. Canon shooters that want to try their hand at telephoto landscape photography need not break the bank to do so. 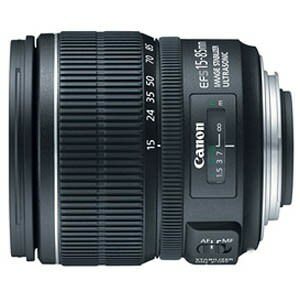 The Canon 55-250mm F/4-5.6 IS STM EF-S Lens offers an incredible amount of versatility with a focal range that extends from standard up to telephoto. With Canon Image Stabilizer technology, you can take photos that are clear and crisp, even when handholding your camera. And, for a telephoto lens, it’s compact and lightweight, so you don’t have to worry about lugging around a heavy rig all day long. With one UD lens element inside, you can rest assured that your images won’t suffer from chromatic aberration, resulting in high-resolution landscape images with excellent color and contrast. For a versatile telephoto zoom that can handle a wide range of landscape photography, Nikon owners should consider the Nikkor 80-400mm F/4.5-5.6 D ED VR Autofocus Lens. At 80mm, you can compose short telephoto landscapes with slight compression. But zoom out to 400mm and you’ve got the capability of creating tightly framed images of individual landscape elements. 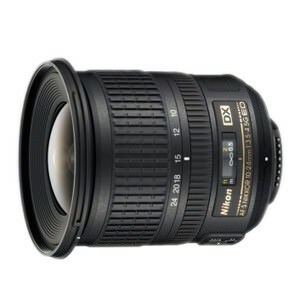 One of this lens’s best features is Nikon’s Vibration Reduction technology, which effectively allows you to shoot with a shutter speed that’s three f-stops faster. 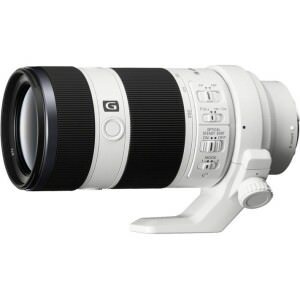 With high-grade lens glass, the images you capture will be high in contrast and high-resolution for top-notch results. Regardless of the type of lens you choose to purchase, any of the lenses listed here will perform well for you as you photograph your favorite landscapes. And, all of these lenses can be found at online retailers like KEH Camera in excellent used condition and for a lot less than what you’d pay for a brand new lens. Why not get a great used lens and save a little money at the same time? Now that you’ve got the inside scoop on some of the best landscape images available today, we’ll be shifting gears to some of the best lenses for portraiture in our next installment of our Lens Mastery Series.